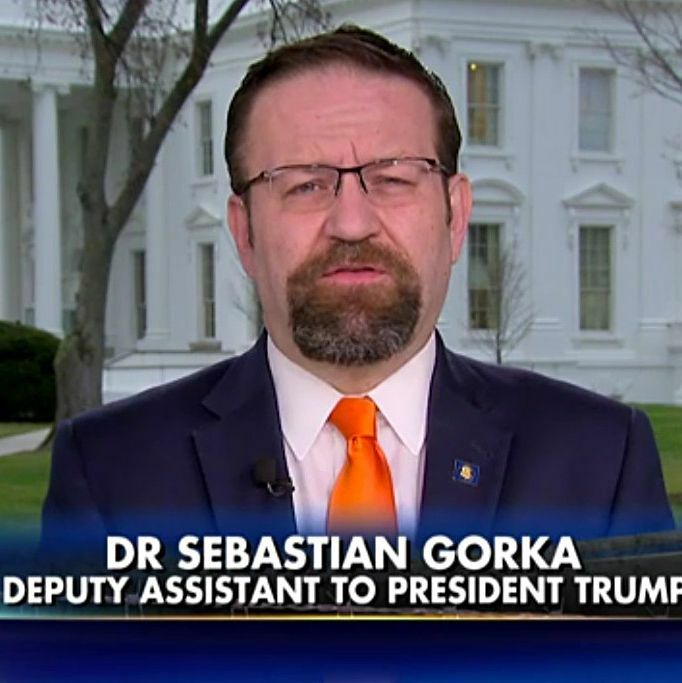 Until recently, Sebastian Gorka, a deputy assistant to President Trump and a self-proclaimed expert on radical Islam, wasn’t a well-known or respected figure in the national-security community. In fact, every profile of him — and there have been a bunch lately — quotes national-security wonks either saying they hadn’t heard of Gorka until he was appointed by Trump, or casting aspersions on his scholarship. But Gorka, who prior to Trump’s inauguration crowed to Fox News that “the alpha males are back” in charge, isn’t in the White House because of his CV; rather, the available evidence suggests he’s there because of his hard-line beliefs. He is an ardent proponent of the “counter-jihad” ideology that permeates the Trump administration, and which is centered on Steve Bannon and Trump himself — the belief that America is locked in a global war with radical Islam that most people don’t take nearly seriously enough, and that both the EU and the U.S. are seriously threatened by the possible imposition of Sharia law by hordes of innocent-seeming Muslims. (Before he was ousted, former Trump national security adviser Michael Flynn was an enthusiastic proponent as well.) Gorka has helped spread these sorts of ideas both in his recently released book, Defeating Jihad: The Winnable War, and in his role as a Breitbart’s former national security editor and a TV talking head. This gap between the excesses of counter-jihad and the more deliberate and rational approach taken by the mainstream natsec community is inevitably going to cause tensions within the Trump White House, simply because the two camps see the world so differently. Trump appointees like Jim Mattis and Flynn’s replacement, H.R. McMaster, do not believe we are locked in an existential struggle against a giant Muslim conspiracy; Gorka, Bannon, and Trump do. The main thing that stands out is that the Obama years saw a much lower recidivism rate among former Gitmo prisoners than the Bush years. 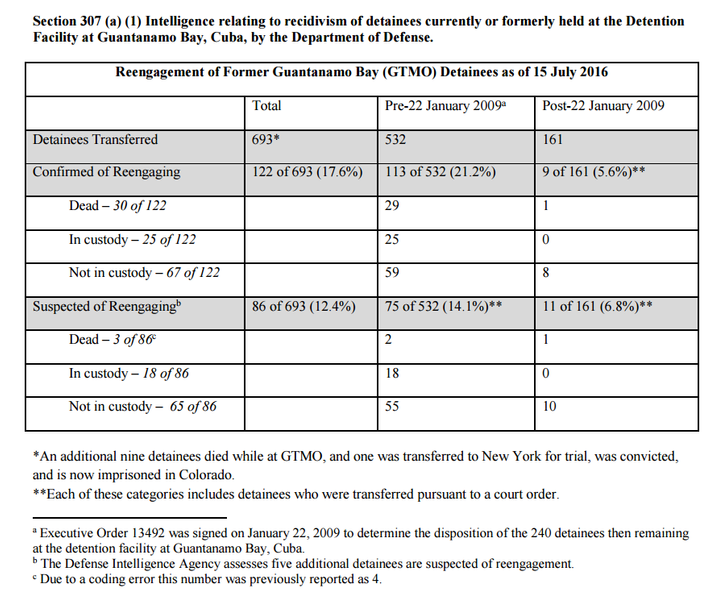 Since Obama was sworn in, the recidivism rate for released Gitmo inmates has been just 5.6 percent, or 12.4 percent if you count each and every “suspected” case of recidivism as a “confirmed” one as well. During the Bush years, those rates were 21.2 percent and 35.3 percent, respectively. According to Human Rights First, an advocacy group, this change is mostly attributable to the fact that the Obama administration instituted a more thorough vetting process than the George W. Bush administration had in place (though there could be other contributing factors as well, such as the reduced direct-combat role of the U.S. in Iraq and Afghanistan). So it simply doesn’t make any sense for Gorka, in the course of criticizing the Obama administration, to claim the recidivism rate is between 30 and 40 percent — let alone “almost half.” During the Obama years, the recidivism rate was a fraction of that. Of course, if Gorka’s ultimate goal is to promote the idea of an apocalyptic struggle between Islam and the West, it makes perfect sense that he would overstate the probability of recidivism among Guantanamo detainees. But this is just a Fox & Friends segment, relatively harmless in the grand scheme of things. What happens when it comes time to carefully evaluate a complicated pile of evidence and make a big decision about national-security policy or counterterrorism? Who will win, the Trump-Bannon-Gorka crowd, or Mattis, McMaster, and their allies in the traditional national-security establishment?